Every year Comcast holds a special day, dedicated to making a postitve impact in local communities. 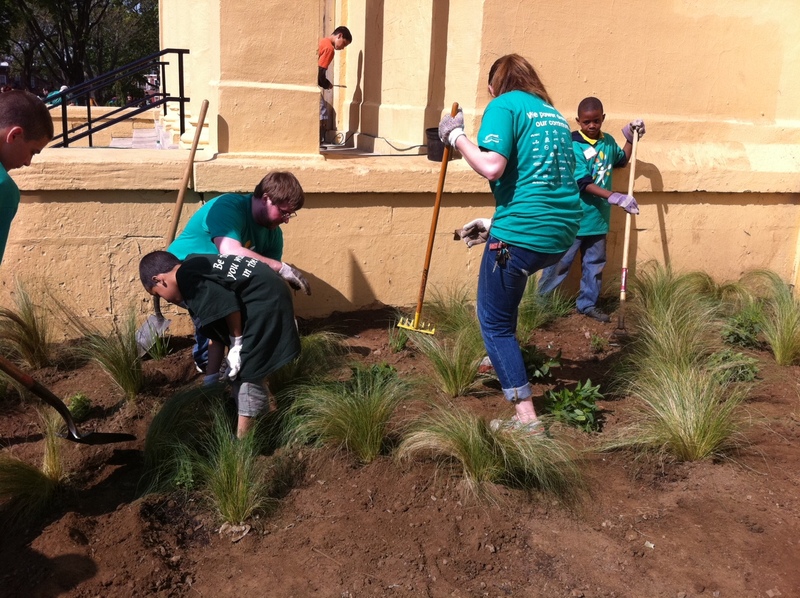 This year on April 21, over 200 volunteers helped transform the McPherson Square Park! 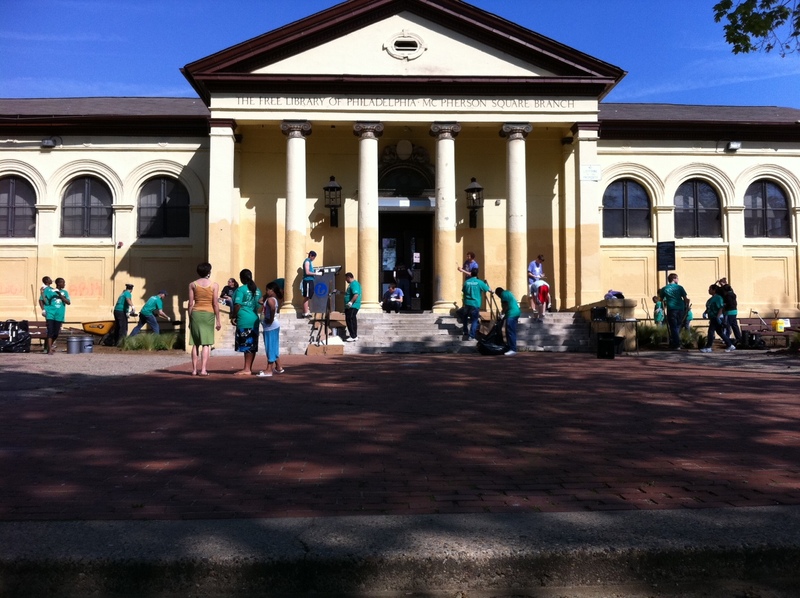 Volunteers from Comcast and other local organizations, along with residents from the community, helped give a glowing appearance to the historic library both inside and out. 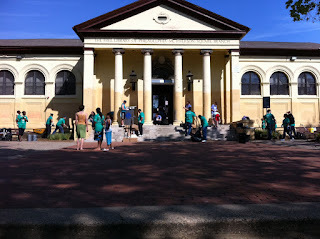 Thank you to all the volunteers who came out to truly make a difference! Thank you Comcast! 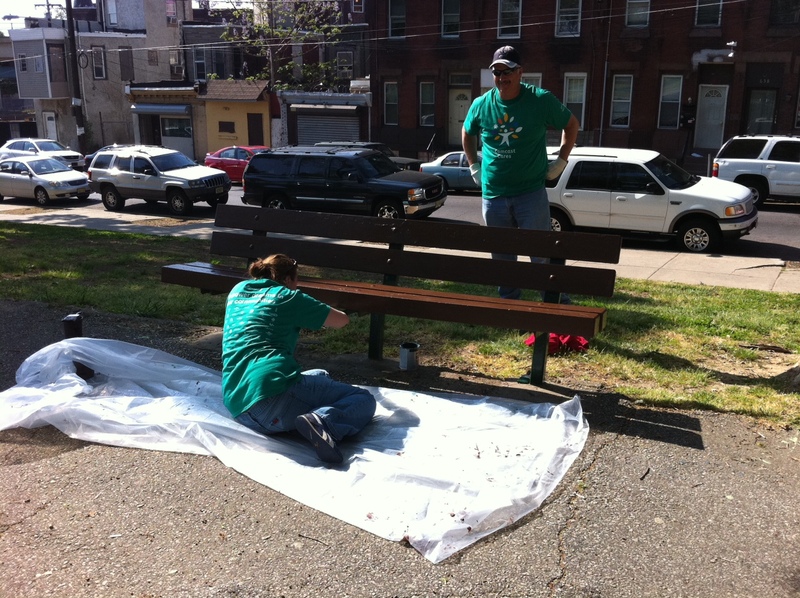 The beautiful transformation from the volunteers on Comcast Cares Day! 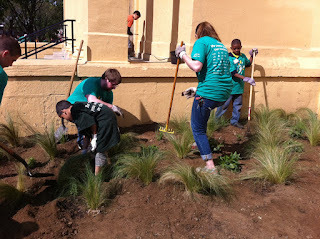 Volunteers planting a new garden. 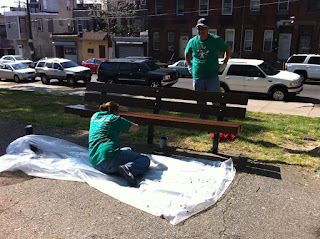 Volunteers from Comcast repainting benches in the park.